Drawn away, this was a potential Cup banana skin for Wycombe Town against up and coming AFC Hithercrot, on a difficult pitch WTFC were pinned back to 2-1 at half time but with continued pressure overcame stern opposition to win 7-1 with goals from Andy Nicol 3, Mark Nugent 2, Scott Webb and Leigh Mason. 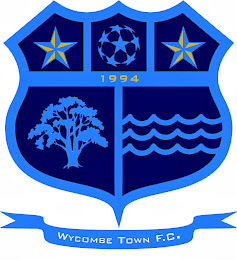 Wycombe Town and Black Boy played out a 2-2 draw at Wilks Park, 2-0 down at half time, Town showed real character to gain the draw with both second half goals coming from Lee Watson. Wycombe Town 'A' played out a tight game with promotion chasing Three Horse Shoes but lost 3-2 to a late goal. Towns goals came from Wayne Marshall and Gary Miles(EDU).